Only 13 percent of all companies say they do an excellent job developing leaders at all levels. A significant 67 percent of learners said LinkedIn Learning helped make them more comfortable using digital tools. Roughly 35 percent of core job skills will change by 2020. Competitive organizations must adapt. 80% of L&D pros agree that developing employees is top-of-mind for the executive team. 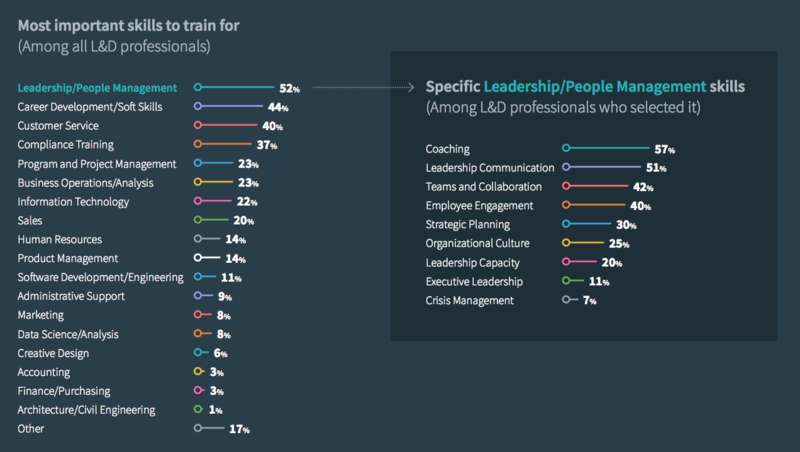 Among L&D professionals, Leadership/People Management is the most important skill to train for. Ellie Mae recognized an innate curiosity in its employees and wanted to foster and tap into that to build a culture of learning. Ellie Mae is excited to provide its employees a learning platform that transforms skills development and fuels employee engagement. Explore strategies for creating engaging learning experiences so you can attract and retain the best employees possible. Marketo needed to build a foundation to support a new global talent development strategy for a rapidly growing company.